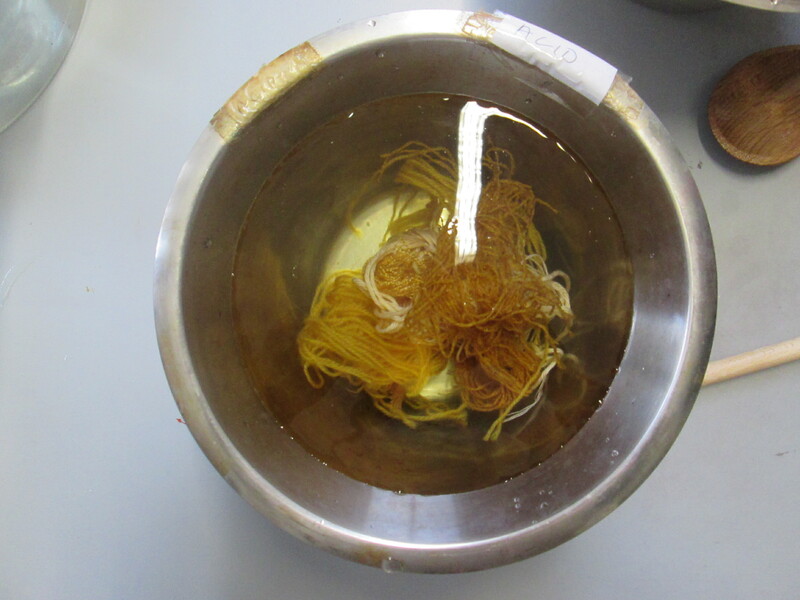 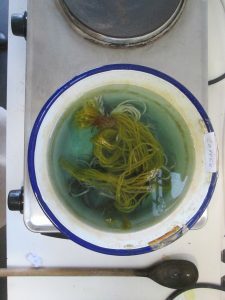 Week 1 and an introduction to this year long, natural dye course with Jenny Dean. 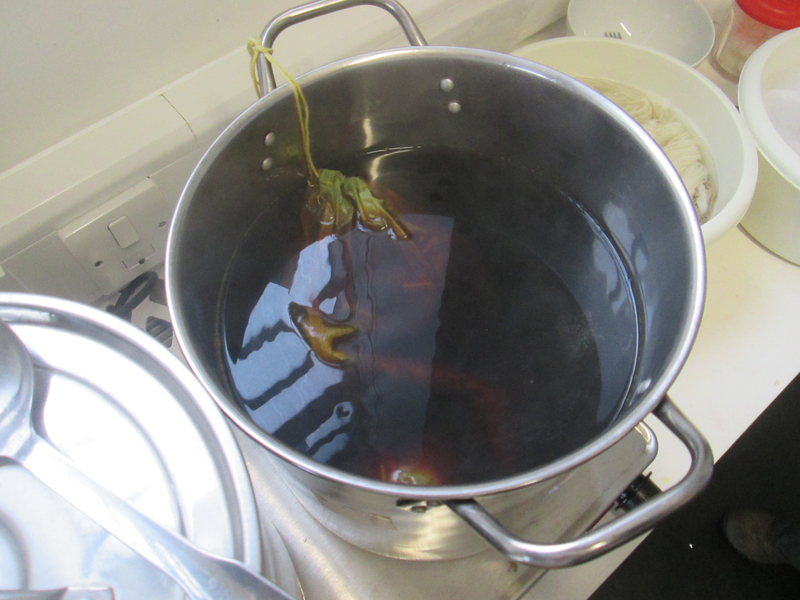 Six pots were on stoves- the first two for scouring, the second two for mordant and the last two for dyeing. 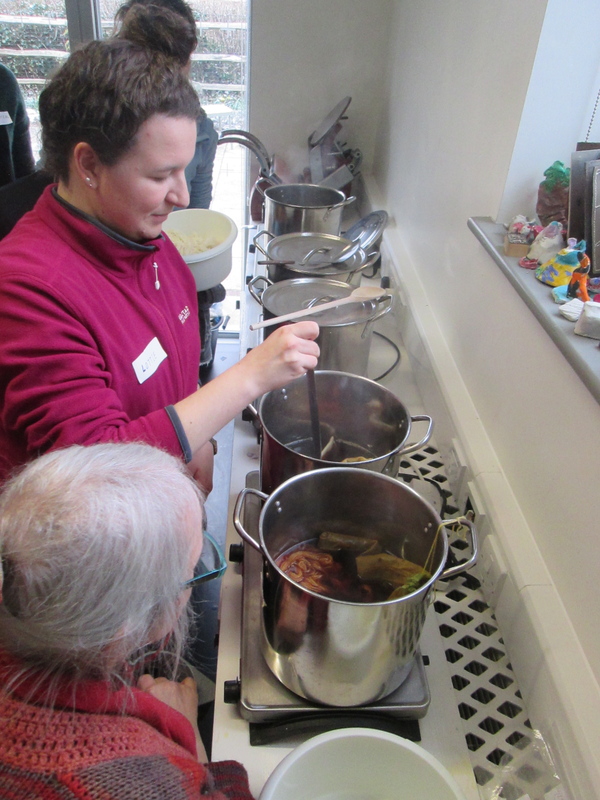 We used the first four pots to prepare material for future workshops. This week we were dyeing with Buckthorn bark – a substantive dye (needs no mordant). 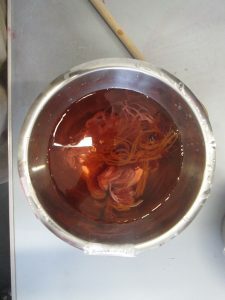 This yields a mustard yellow but can be modified with alkali (soda), acid (vinegar), copper and iron. 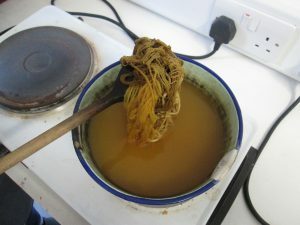 The colour range was extended into reds and more yellows. 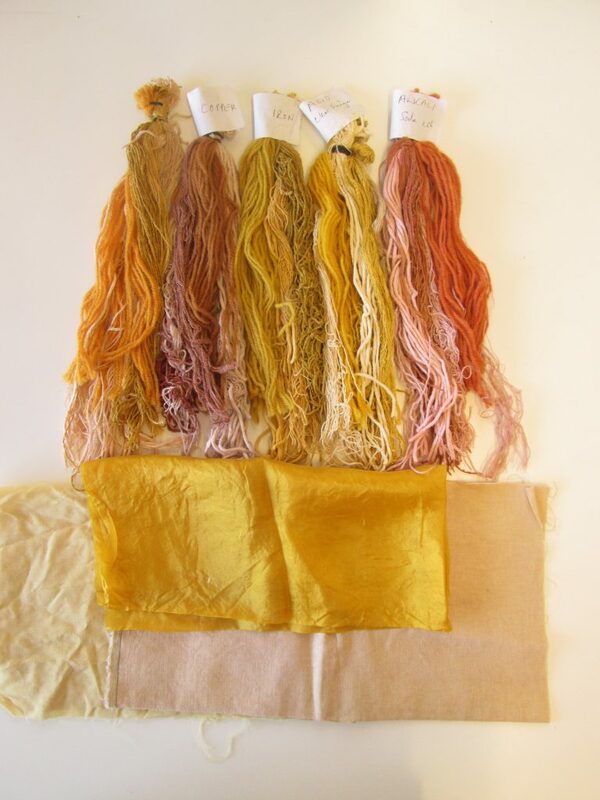 threads and fabrics, all dyed with buckthorn bark and various modifiers.